Eligible students are encouraged to register to vote. Voter registration assistance is available for all eligible students. Stop by the main office at any of our campuses to find out where the registration is taking place. 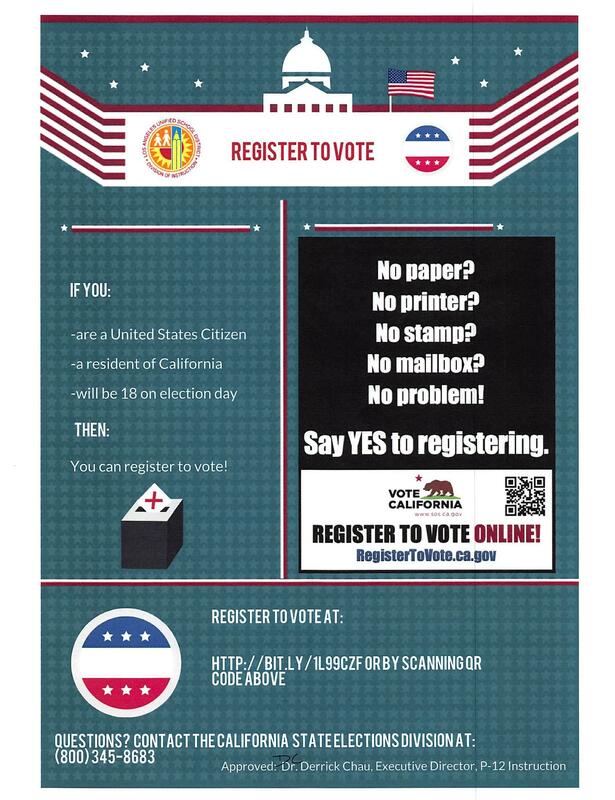 Students can register online or by paper using the vote registration card. You can register to vote!